An apostille is a certification that a document has been “legalized” or “authenticated” by the issuing agency through a process in which various seals are placed on the document. In the United States (U.S.) the Secretary of State and the Deputy Secretary of State of the individual U.S. states provides the Apostille. The FBI Apostilled Criminal Background Check is an example of such a certification service. Does the FBI Provide Apostilles? Yes, FBI Apostilled Criminal Background Checks are now provided. 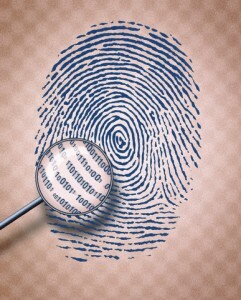 The Criminal Justice Information Services (CJIS) Division of the Federal Bureau of Investigation (FBI) will authenticate U.S. Department of Justice Order 556-73 fingerprint search results for international requests by placing the FBI seal and the signature of a division official on the results if requested at the time of submission. Documents prepared in this way may then be sent to the U.S. Department of State by the requestor to obtain an apostille if necessary. This procedure became effective on January 25, 2010 and will apply only to documents finalized after that date. Requests to authenticate previously processed results will not be accepted. The CJIS Division centralizes criminal justice information and provides accurate and timely information and services to local, state, federal, and international law enforcement agencies, the private sector, academia, and other government agencies. The requesting applicant of their own FBI Apostilled Criminal Background Check (certified identification record) may obtain a copy thereof by submitting a written request to the CJIS. The request for the FBI Apostilled Criminal Background Check must be accompanied by satisfactory proof of identity (consisting of name, date and place of birth, and a set of roll-inked fingerprint impressions) and a certified check or money order for the $18.00 processing fee. You MUST also enclose a note stating that you want a FBI Apostilled Criminal Background Check, basically you are asking that your FBI Certificate “Authenticated” in order to get the Apostille. If you get the FBI Criminal Background Check back and it is not authenticated (notarized), you’ll have to send it back to the FBI with another request of obtaining a FBI Apostilled Criminal Background Check. California Live Scan Fingerprinting Centers provides single point of contact for all of your FBI FD-258 Ink Card Fingerprinting needs. Contact us today to schedule your next appointment, call 888-498-4234, or chat with us online at http://CAL-LIVE.com. Information is subject to change without notice. Always check with the requesting agency for the latest updates.